When you need fast, affordable home appliance installation or appliance repair in Marietta, Ga call It Is Fixed Appliance Repair. We’ve earned our reputation for unparalleled customer service and support because our philosophy is to treat every customer as if they were our number one priority. In a fast-paced world, it is difficult to wait. That’s why we hire the best technicians local to Marietta so that we can provide same day service seven days a week. Our pricing never changes, whether you need a technician at 10:00 A.M. on a Tuesday or 4:00 P.M. on a Saturday. We’re here to provide exceptional service when you need it most. At It Is Fixed Appliance Repair, our technicians are thoroughly vetted, highly-trained, licensed and certified, so you can always count on us to get the job done right. Our appliance repair specialists will arrive at your home, equipped with the tools they need to complete your installation or repair. If you need parts, we supply new, manufacturer-approved components to ensure that they are the best fit for your appliance. Courteous, competent service is our calling card. Costs are always a consideration when it comes to appliances repair. Fortunately, It Is Fixed Appliance Repair is a name you can trust. We work to make sure you get the best service for the lowest price. If we inspect your appliance and determine that you would save money by buying a new appliance, we’ll tell you. Our professional, in-home diagnostics fee is only $39.95, and if you complete a repair with It Is Fixed, the diagnostic fee is waived. Installation and repair service fees depend on the nature of the service and if parts will be needed. 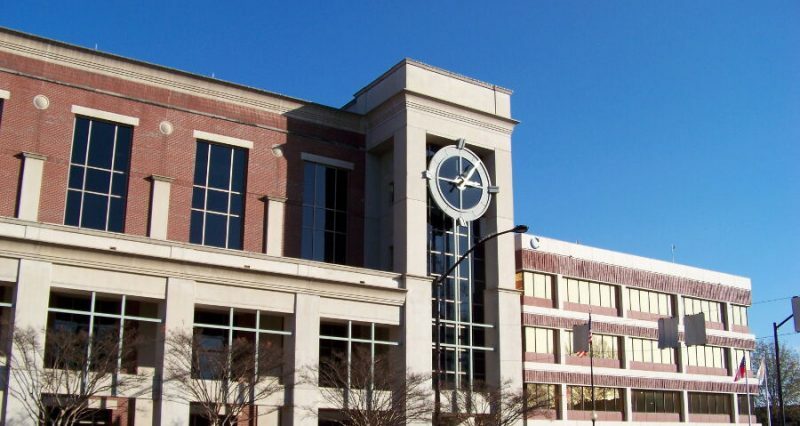 Below is a list of average prices for standard appliance services in Marietta, GA.
Before you pack up your laundry and head to the Marietta Coin Laundry, call It Is Fixed Appliance Repair to get your washing machine spinning again. 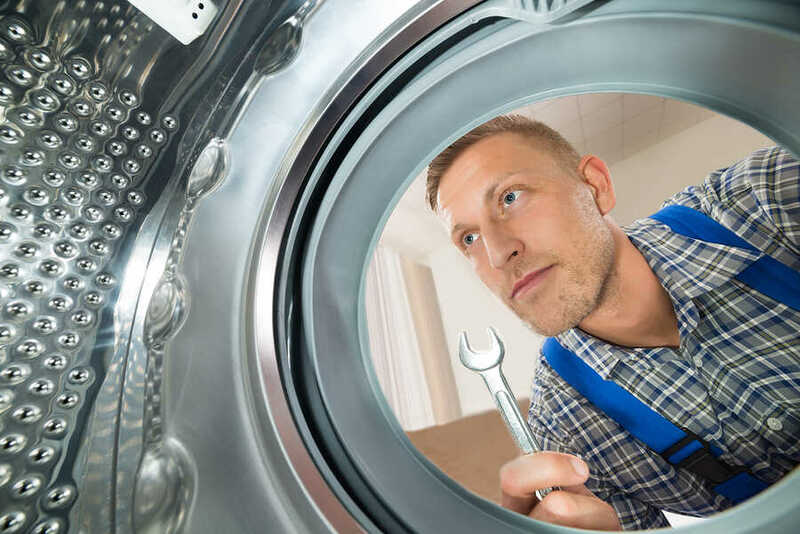 Our washer repair experts are equipped to handle any issue you may have. Is your Whirlpool Washer showing an error code? Are your clothes not getting clean? We have a licensed technician available who can get it fixed. We work with all types of washing machines, from direct-drive andCabrioo top-loading washers to high-efficiency front-loading washing machines. The cost to purchase, deliver, and install a new washing machine can be between $600 and $1300. Repairing your washer can help save you a lot of money. After your washer is fixed, we’ve put together a great guide to help you Win at Laundry. All our favorite laundry room tips and tricks are compiled into one monster guide. There are advantages to hanging up your laundry. It uses less energy, and your clothes smell fresh. You may find that they’re also a bit stiff. Plus, it takes a long time to hang your clothes. Also, if it’s raining or if Marietta is in the middle of its yearly Pollenpocolypse, hanging your clothes to dry is impossible. That’s why it’s great to have a friendly, reliable appliance repair specialist around the corner to help make sure your dryer is working as it should. We offer same-day appointments, so you never have to let your clothes mildew in the washer while you wait to get your dryer fixed. If your dryer doesn’t get hot, you’ve got a dryer that won’t spin, we’ve got the tools and experience to get it drying again. Of all your appliances, a broken refrigerator or freezer is most likely to cost you a lot of money. It isn’t the repair that’s expensive; it’s the expense of replacing all your food that adds up. Fortunately, we can help. If your refrigerator isn’t getting cold, leave the refrigerator door closed and call It Is Fixed Appliance Repair. With our same-day service, we may be able to fix your refrigerator before you have to throw out your milk and cold cuts. Our specialized refrigerator repair technicians are equipped to fix your machine, no matter what brand or model you have. We have experience repairing bottom freezer, top freezer, built-in, side-by-side, and french door refrigerators. If you have a stand-alone freezer, ice maker, or wine cooler, we can fix that too! 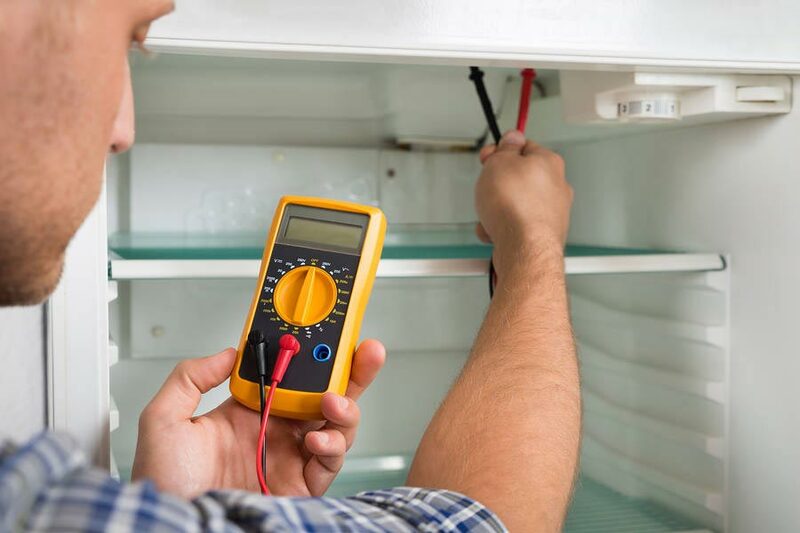 Our technicians are licensed and equipped with the tools necessary to recharge the Freon on your older-model refrigerator if needed. Due to the severe health issues that can be caused by inhaling Freon gas, we don’t recommend attempting to recharge your refrigerator yourself. Please contact a professional for assistance, even if you don’t call It Is Fixed. Our goal is to get you the help you need, whatever you need. That’s why we publish DIY solutions to common refrigerator error codes, so you can get the fastest solution to your problem that is possible. Although we’ve eaten our fair share in microwave dinners, nothing can beat a home-cooked meal straight from the oven. It can be hard to make a meal if you find your oven keeps smoking, or that your oven won’t get hot. It Is Fixed Appliance Repair can fix the issue and get you cooking again, usually for much less than you would spend on a new oven. Whether you have electric or gas, coil top or glass top, stand-alone, or combination unit, It Is Fixed Appliance Repair can fix your stove, range, or cooktop. Common issues like a stove that won’t turn on or a burner that heats unevenly are quickly resolved by our team of stove repair experts. Before you have a dishwasher, it can seem like a luxury. It is amazing how quickly a working dishwasher becomes a necessity once you’ve integrated one into your life. Don’t panic if your dishwasher stops getting dishes clean or won’t drain properly. Our appliance repair experts can save the day by getting your dishwasher fixed before the pile of dishes in your sink can take over. You never know how much you use a microwave until it stops working. When your microwave goes on the fritz, your first instinct may be to go out and buy a new one. Like other appliances, microwaves can be repaired. Fixing your microwave not only saves money, but it helps keep large items out of the landfill. You have loaded all the clothes in the machine and turned the knobs, but the washing machine won’t start up. How frustrating! Don’t fret. There are several different reasons why a washing machine might not turn on. 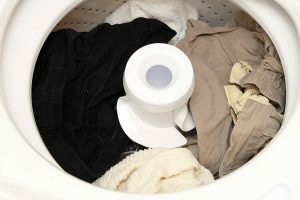 Check out this guide to find some troubleshooting steps for both front and top loading washing machines. Has your refrigerator lost it’s cool? Don’t get a hot head over it, check out this handy Refrigerator Troubleshooting Guide. 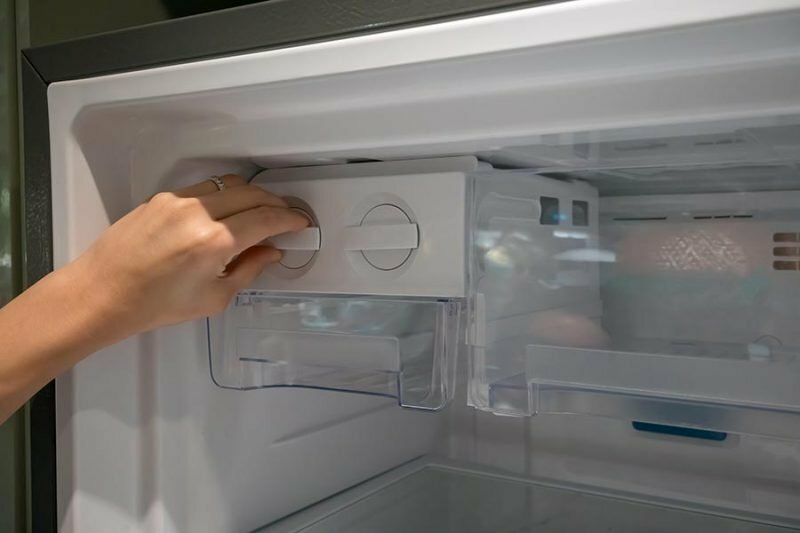 It may help you find the solution to get your refrigerator cooling again. Did you know that nearly 3000 house fires are caused by dryers annually? Protect your investment and your home by keeping your dryer well-maintained and working properly. The dryer is a relatively simple machine to keep up. Check out this dryer maintenance guide; it will help equip you with the information you need to keep your dryer running smoothly. I had called another company and made an appointment, but they couldn’t come for three days. Called It Is Fixed and the man who answered the phone was friendly and helpful. He was able to offer a same day appointment, and now my washer is fixed! Very friendly and reasonable price. When I called, I was given a time frame from 5 – 7. The technician that came to my house was very prompt and helped me with my problem. I will definitely use them again for any appliance repairs that I need in the future. I don’t give then 5 stars I give them 10! The politeness and the help they gave me was wonderful!